During the coronation ceremony of the Miss Universe pageant, people took notice of the elegant ear cuffs worn by our very own Catriona Gray. It clearly symbolizes the country’s flag with it’s three stars and a sun design. 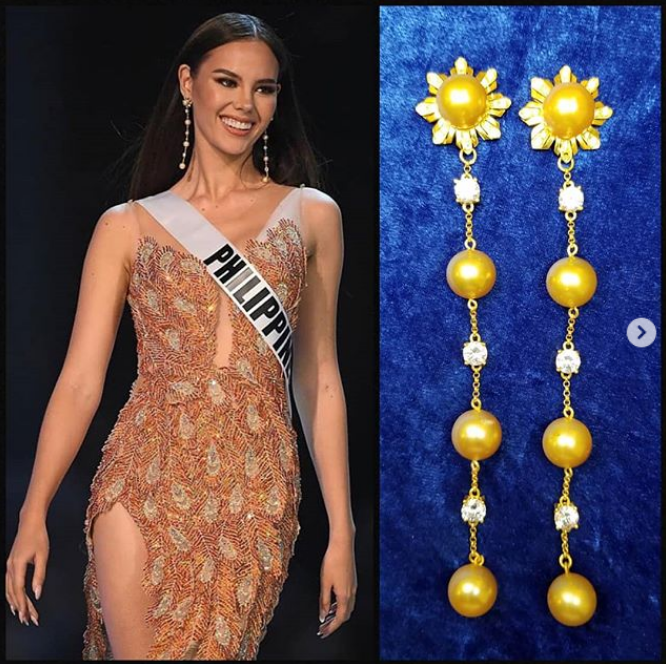 A few hours after winning the Miss Universe pageant, famed jeweller Tessera Jewelry posted on Twitter the ear cuffs worn by Catriona Gray. 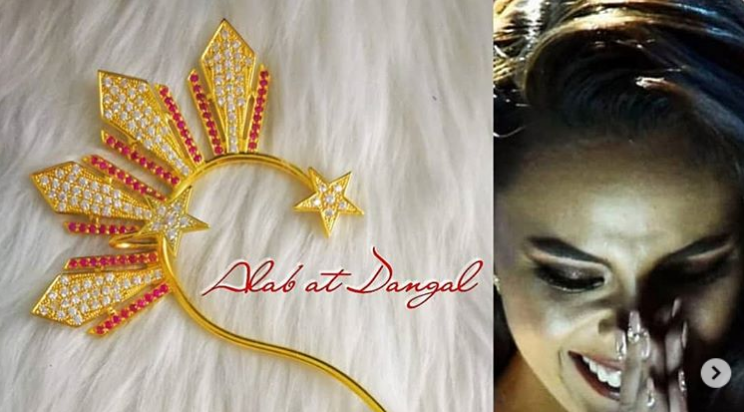 The “patriotic” ear cuffs were aptly called Alab at Dangal. The now famous ear cuffs is made of rubies, gold, and diamonds. It also has golden south sea pearls. Catriona Gray made sure that she represent our country’s culture in everything she wore, from the ear cuffs to the gowns. As early as the Bb. 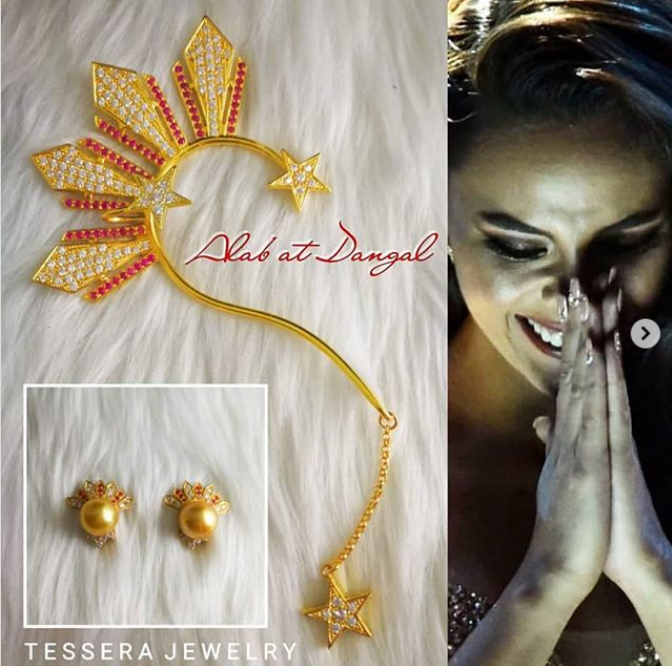 Pilipinas competition, Catriona Gray has already partnered with Tessera Jewelry to make her designs into reality. A clear proof of how determined she is to represent her country well, and the hard work she puts into it. During the preliminaries, Catriona Gray displayed the fabulous “Pearl Of The Orient” earpiece. She co-designed all the earpieces with Tessera Jewelries. The Pearl Of the Orient, a dangling masterpiece is said to be inspired by the country’s title as “Perlas ng Silangan”. The Bicol stunner which captured the heart of the judges to be adjudged as the 4th Filipina to win the Miss Universe crown, also represented her hometown well when she wore a Mak Tumang gown that featured the “Fiery” Mayon Volcano. Her national costume represented Luzon, Visayas, and Mindanao whille her other down featured the mythical Filipino folklore bird Ibong Adarna. That’s as close to patriotic as you can get.